Technical Resources/Links - EGC, Inc. If you would like to submit a technical reference or link that can be a benefit to any personnel, please use the submit button below. Two references from Zara Environmental LLC for use in Central/South Texas. Please follow the links listed below. One is for geological assessments and the other one is for endangered species. 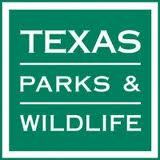 Attached is the Texas Parks and Wildlife Texas Conservation Easement presentation, A Guide for Texas Land Owners. Download file to view .